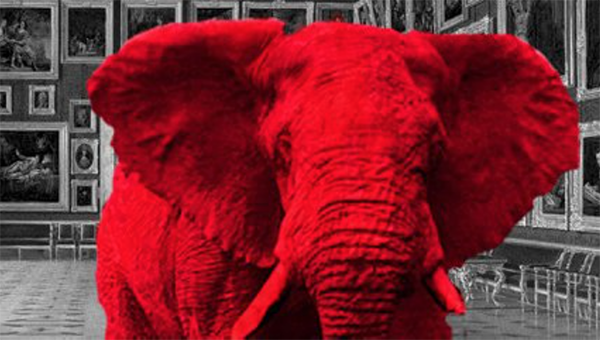 The Royal College of Art presents The Elephant in the Room, a two day event of talks, screenings and performances held at the RCA (London) and Open School East on 10 and 11 December 2015. The event will address the issue of social inequality in the art world curated by Mike Watson, co-curated by Dorian Batycka, Gloria Lin and Seemab Gul. The event and panel discussion on art, academia and social class will include an intervention by artist Andrew Cooper and roundtable discussion chaired by Alpesh Maisuria with Mark Fisher, Mark McGowan (aka The Artist Taxi Driver), Chris Knight, Laura Oldfield Ford, Ana Pečar, Alexei Penzin (Chto Delat), Chardine-Taylor Stone.